Some Zavio IP cameras now support the ability to send push video notifications to the iPhone, iPad, and Android mobile app. Users can choose to have a photo snapshot captured instead of video if they choose. Users can also configure how the alerts are triggered. One of the most popular ways is to send a push notification when the camera detects motion. This page contains the cameras that support push notification. This is how it works with Zavio cameras. Users configure one or more “events” in the camera settings. The event is setup to record video or take a snapshot image which is stored on the internal SD card of the camera. 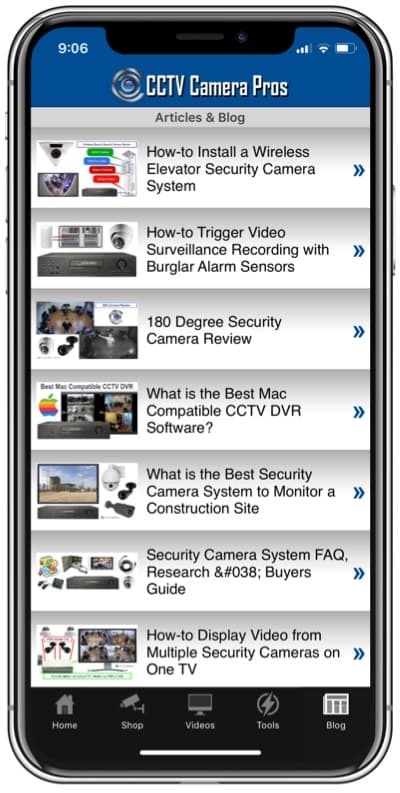 Cloud based IP camera viewing software (included with Zavio cameras) is configured to send a push notification to free mobile app for iPhone, iPad, and Android (works with phone and tablet devices). When the user receives the alert, the user can tap on the push notification to open the SAT viewer app. 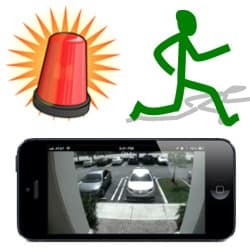 When the app opens, a live view of the camera that triggered the alert notification is displayed. The user can then select the event log for the camera to playback the video recording or view the snapshot photo of the event (depending on how the event is configured). 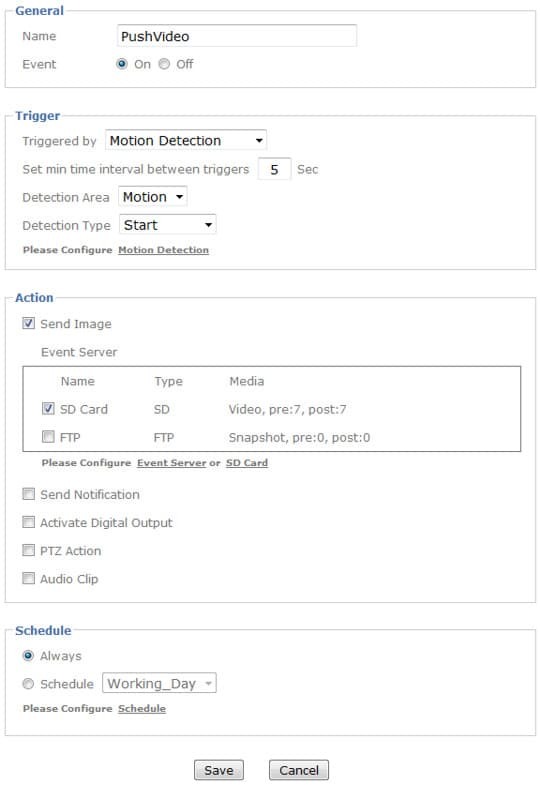 Below is a screen shot of the event configuration screen on a Zavio IP camera where we have configured an event to record video to the internal SD card of the camera when motion detection occurs. The second part of the setup requires the use of the free camera viewer software included with Zavio cameras, SAT Viewer. 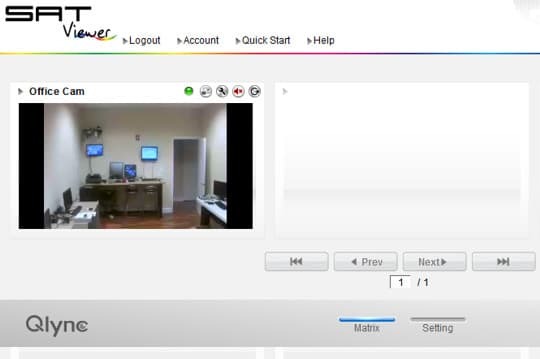 The SAT viewer is a web browser based IP camera viewing application that lets users view one or more IP cameras from Mac and Windows computers. One of the best features of the SAT viewer is that is is extremely easy to setup because no port forwarding or knowledge of networking is required. Below is a screenshot of the SAT viewer application connected to one camera. 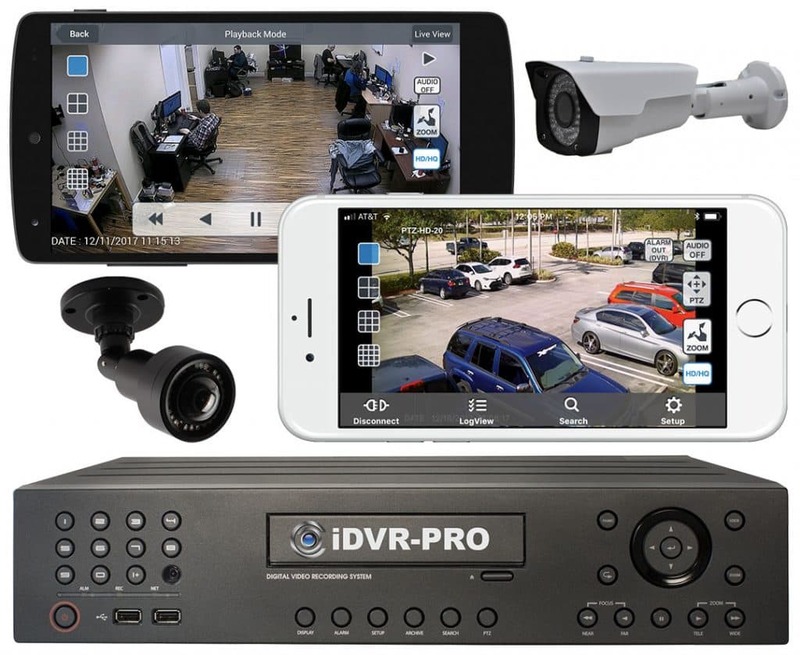 The SAT Viewer Pro mobile app for iOS and Android lets users remotely their security cameras from iPhone, iPad, and Android phones and tablets. 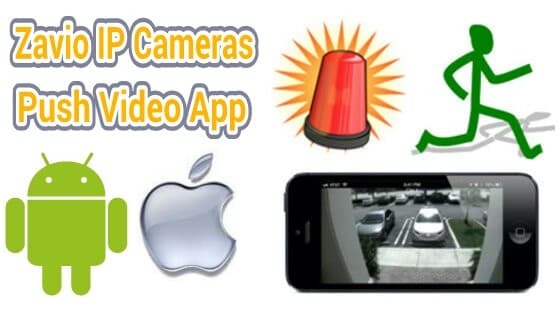 Users can enable notifications in the app so that when a recording event is triggered to the SD card of the camera (such as motion detection or audio detection), they receive a push notification on their mobile device. Below is a flow chart that shows the steps that occur when a user is notified of an event. These screenshots were taken from the iPhone app, however, the process is the same on the iPad and Android app. The following Zavio cameras and video servers are support the SAT Viewer cloud application and push video notification feature: F3000, F3005, F3102, F3107, F3110, F3115, F3201, F3206, F3210, B5111, B7210, D3100, D3200, D5113, D5210, D7111, D7210, F7210, P5111/P5116, P5210, V1100.